Want some ‘Star Wars Episode VII’ Spoilers? I’ve got them!!! Holy Freaking Crap, guys! 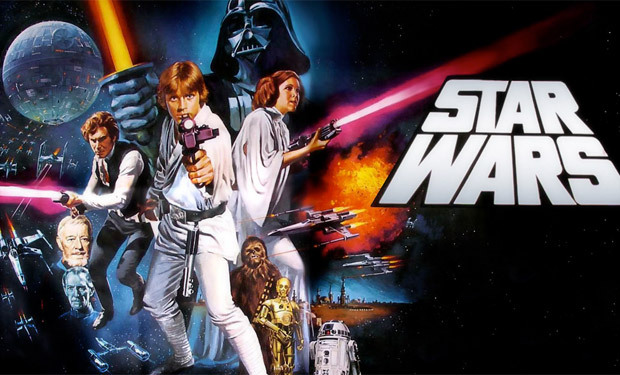 I’ve got some very hush-hush details about ‘Star Wars Episode VII‘!!! More than just details, I’ve got a little bit of the plot line! This will, of course, be a spoiler, so if you’re sensitive to seeing the new episode with virgin eyes, stop reading here. I am not even going to say what I had to do to get this information, but let’s just say it involves a sacrifice, some chicken bones and….well that’s not important. Seriously, last warning for spoilers…..
Ready? You can not unread what you read here!!! This is seriously the last warning. Continuing will be hazardous to viewing the new flick and being in awe of every little detail. Remember, this is ALL just RUMOR!!! We’re used to the typical SW episode beginning. The slow, dimensional crawl giving us the details of the SW universe at that current time and/or what kind of position our heroes are in. The words end and the camera pans up to the stars. We’re not closing in on a spaceship this time, it’s a hand. Not just any hand, but a severed hand floating through the stars and gripping…a light saber!!! The hand then falls onto a desert planet. Of course it’s discovered, what good would seeing the hand be without someone ever finding it? Our new heroes Daisy Ridley and John Boyega discover the hand and recognize the light saber as a Jedi artifact and intend to return it to the proper place. One of those characters is attempting to change his path in life. You’re not getting a lot of an !idea, but just wait! The heroes travel from their planet and meet up with none other than Han Solo and Chewbacca. They’re not flying around in the Millenium Falcon, though…I can’t exactly say what they are in, but it’s NOT the Millenium Falcon!!! 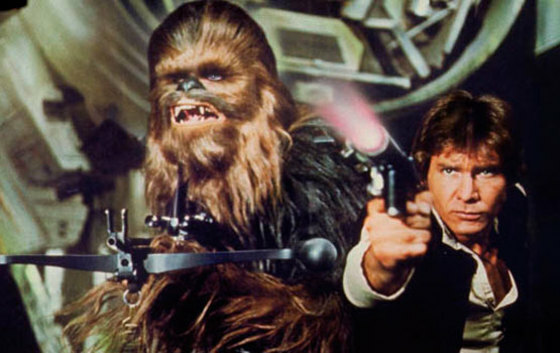 Regardless, Solo and Chewbacca recognize the light saber as Luke’s. They continue in telling they haven’t seen him in at least thirty years, you know, at least since ‘Return of the Jedi‘. A mission then ensues to find the one-handed Jedi Master. Of course there are bad guys doing bad things, wouldn’t be SW without that, right? There’s an ice planet that the evil forces are on, they’re building a super weapon, this one won’t just be capable of destroying planets, but whole solar systems. There is a little bit of a plot repeat from ‘A New Hope‘. Think about it and you can see it, R2 is on Tatooine, Luke’s hand is found, both are attempted to be returned to their owners. We do know that the galaxies we knew of in SW are much larger than we had originally thought. I know this is an extremely vague outline, the most basic of information, but Abrams isn’t giving us much to work with. So remember, this is all just rumor right now. Some rumors turn out to be true and others not-so-much. I got chills reading that we’d see Luke’s hand gripping his saber floating in space! I was curious how the original characters would be worked in with younger heroes ready to step in, but this would be awesome if it happens this way! What happened to the Millenium Falcon? Where is Leia? Where is Luke? If the light saber is a relic, what are the weapons they use now?! So many questions, so much more I want to know! Word is that the action is going to be great, the characters are going to be an excellent addition, stellar acting with one character kind of becoming a major stand out above the others, that’s John Boyega. So no need to worry that our first reactions of a Selena Gomez, Zac Efron or Justin Bieber all cutesy and Disney-fied version of our beloved ‘Star Wars‘. Looks like if it fails, it’s going to be all on J.J. Abrams‘ shoulders. 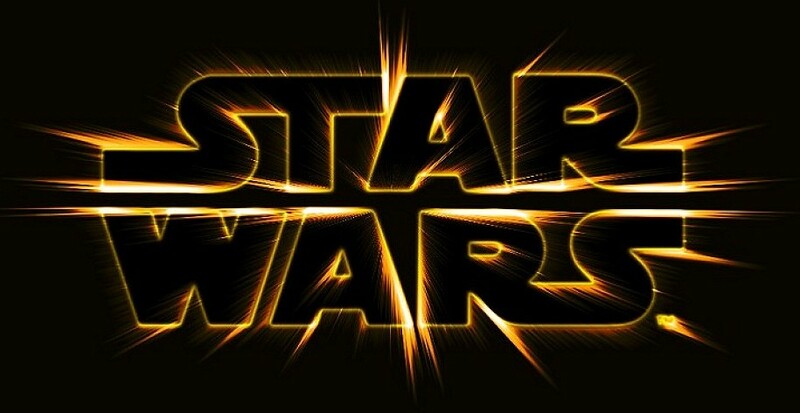 ‘Star Wars’ Announces New Cast-Members!!! This entry was posted on Sunday, July 20th, 2014 at 5:23 pm	and is filed under Books, Film, News. You can follow any responses to this entry through the RSS 2.0 feed. You can skip to the end and leave a response. Pinging is currently not allowed. « ‘Inherent Vice’ Announced as Centerpiece at New York Film Festival!! !